Omnichannel order fulfillment and returns are about delivering a more convenient, consistent and seamless shopping experience for your customers. Today’s empowered shoppers want to choose from a multitude of products and fulfillment options. They expect immediacy, convenience and simplicity — no matter if they are shopping in a brick-and-mortar store or online. Retailers that can deliver against consumer expectations are more likely to drive brand loyalty and sales. Those that can enable omni-channel fulfillment options while strategically balancing cost and service will drive additional profitability. The shift toward online commerce is driving many supply chain and operations leaders in retail to rethink the role of the store to improve omnichannel fulfillment performance and better utilize inventory. One of the ways that retailers have leveraged store inventory is with a ship from store model. Read on or explore the table of contents to skip to the section you want. No time to read right now? Download the pdf version of this post for offline reading. Key #1: Make Sure Your Store Operations "Solve for the Customer"
Attribution: Store vs. Ecommerce Team? Ship from store is exactly what it sounds like. Instead of fulfilling orders from distribution centers that are potentially long distances away from customers, orders are fulfilled at the retail stores themselves and shipped directly to the customer. Leveraging inventory in the stores can often be a least cost, best service solution. Retail sales are rapidly moving from stores to online. 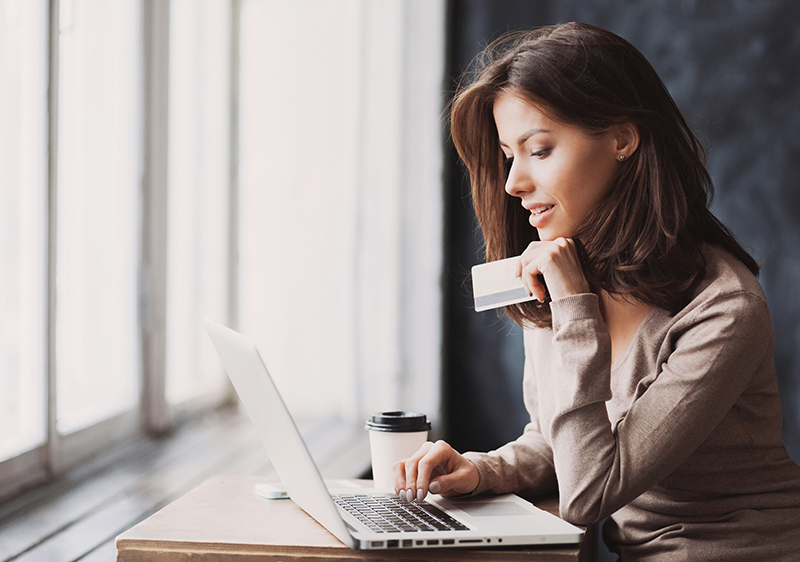 Online sales are continuing to grow and will necessitate further fulfillment capabilities as customers shop from their computer or mobile device. 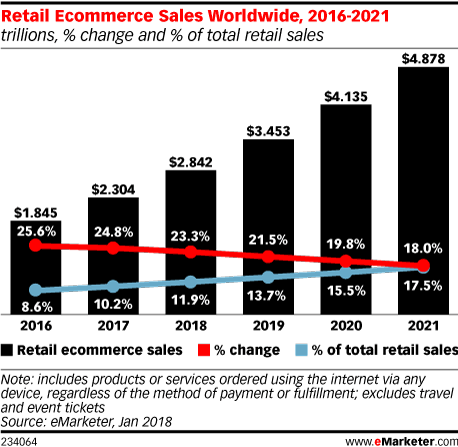 According to an eMarketer report, online sales as a percentage of global retail sales will reach 17.5% by 2021. Shipping is faster and cheaper. When inventory starts closer to the customer it will take a shorter period of time to deliver, and with single-zone delivery, transportation costs will be reduced. There are fewer markdowns. In order to ship from store, companies will have increased visibility into inventory across all of their locations. This allows for stores with excess stock to fulfill orders instead of having to mark down prices to get rid of it. Even if that increases transportation costs, selling at full price will offset that. Companies will better utilize their assets. Inventory turnover will be increased and stores will be able to keep less clearance inventory on-hand. This allows better utilization of space in both physical stores and distribution centers. Ship from store allows retailers to remain competitive with e-commerce giants. A unified commerce approach helps deliver a more convenient and seamless shopping experience worthy of comparison with Amazon or eBay. Many retailers know ship from store is a solution they need to implement to remain competitive, or maybe have already started offering it but find themselves wondering just how they are going to pull it off. A successful store fulfillment strategy has three pillars: store operations, order routing, and metrics. Store operations refers to the physical operational resources needed to pick, pack and ship an item to a customer who has placed an order. The foundational tenet of unified commerce is creating a seamless experience for customers. 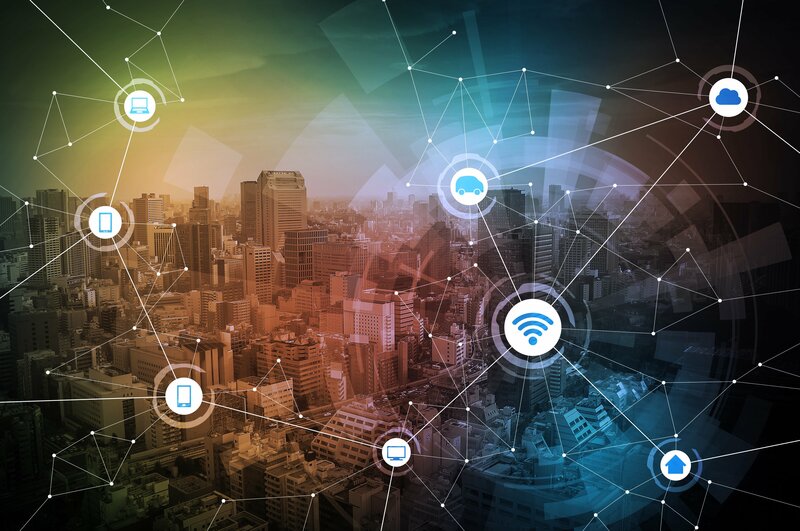 To do this, retailers must have a unified customer experience that includes both customer-facing touchpoints as well as “invisible-to-the-customer,” supply chain operational excellence. The key to having a successful store operations pillar is the mindset of the retailer. Customer-centric commerce is all about “solving for the customer.” To this end, store associates are critical to customer experience. Store associates should not be goal oriented (“what am I doing”) but be purpose driven (“why am I doing this”). The goal is merely the byproduct of associates fulfilling their purpose. The decision to implement this customer-driven store fulfillment strategy is an easy one to make for executives, however, there are often roadblocks for the individual stores. The biggest concern for store managers is the availability of labor hours to implement store fulfillment. Everyone in the retail store already has their essential duties and a “full day.” Unless stores are given additional hours to process orders, there will be a conflict. These limited time resources need to be allocated appropriately. Start with a time study. This will help with your most challenging conflict, the limited availability of labor hours to process online orders. Conducting a time study will help determine how long it takes to find an item, pack it and ship it while allowing you to allocate labor more efficiently. Separate store operation duties from your true sales associates. For example, a large cosmetic retailer has “cast members” in addition to their sales associates. They each have very different duties, but both are integral to the continued operation of the store. Sales associates are taking stock from front to back and operating the cash register. Cast members oversee the customer experience. Being a cast member is a much different mindset than the person checking you out. Where you can afford to separate those two roles, you should do so. If you can’t separate roles, train associates to handle both physical and digital customers. Along the same lines, distribution center (DC) workers should be trained in unified commerce practices (such as including personalized packing slips) for the instances when items must be shipped from the DC. Every action taken has the purpose of creating a unified experience for the customer when it comes to touching the product. Make sure in-store customers aren’t negatively affected by online fulfillment. For instance, if you have a cast member taking a pick cart through the store to fulfill online orders, it needs to match the overall aesthetic of the store. The pick cart being taken through the store also must not get in the way of customers. The process needs to give the impression that it belongs and was not merely an afterthought. This has the added benefit of marketing what a store is doing while they are doing it. Another example that can lead to roadblocks for store fulfillment and negatively impact in-store customers is the express order. Express orders should still be fulfilled from a distribution center. When a customer places an express order, retailers should assume that it is because there is an immediate need for the product. It is of paramount importance that you meet your promise to the customer and fulfill express orders on time. If a store gets overwhelmed with physical traffic at the same time an express order is received, it leads to the possibility that the order will not be fulfilled on time. It is a catch-22. It is very important to fulfill that express order, but of course managers cannot prioritize that over customers who are physically in the store. The second pillar of a successful ship from store operation is omni-channel order routing. Order routing is one of the four main components of order management systems (OMS) along with enterprise inventory, fulfillment execution, and customer service. Distributed order management (DOM) aggregates orders from multiple channels such as from physical stores and e-commerce sites. It also provides intelligence layer for processing orders. But the key aspect of DOM is that it executes business rules for fulfillment. This section will present some suggested guidelines to govern order routing logic. When possible, the objective of rule-based fulfillment should be to fill complete orders from a distribution center node if it is a multi-line order and the closest proximity to the customer. This aim comes from a desire to minimize splitting orders when possible. This is especially true if the retailer is subsidizing shipping, which erodes margins. Sometimes an order split is either unavoidable or simply the best practice to fulfill the order. If the order is multi-line, it is best practice to ship as many of the items from the distribution center closest to the customer and then break up the lines that are remaining. For example, if a retailer has a four-line order and three of those lines can be shipped from either a distribution center or the store, the distribution center should be the primary option before shipping the remaining line from the store. This is simply because distribution center labor is more efficient than store labor. If the order is a single line order, it should be filled from the closest source (either distribution center or store). It is obviously preferable for stores to ship single line orders which are not split into multiple shipments, which saves on transportation costs. Store associates should never be allowed to fill a partial shipment when a full shipment is a possibility. This needlessly impacts service to the customer and increases transportation costs. Sometimes, there’s a caveat to the rule of thumb for single-line orders based on the product life cycle of the SKU. This could come from a low or high sell through rate or if the item is pre-season (new on the floor), in season, or post-season (possible mark down). Retailers should avoid shipping day one clearance items. Retailers should ramp up to clearance items after they have successfully shipped from other stores. This is due to the fact that inventory accuracy is less than stellar for clearance items, and they are hard to find in a store. Express or “next day” orders should not be fulfilled at the store either – the stores must be allowed to ramp up and meet ground shipment service level agreements first. The third pillar for implementing a ship from store strategy is ensuring that your stores have the ability to deliver the key metrics necessary to determine the success or failure of the program. Metrics drive performance. If a company defines poor metrics, it will deliver less than optimal results. Who Gets Credit? The Ecommerce Or Store Team? One of the biggest questions we face is who will “get credit” for a sale? The best practice is that everyone will receive credit. Remember, the purpose of any team member must be acting in a way which is best for the customer. When this happens, whether an e-commerce order has been fulfilled or a customer has shopped at a physical location, the company as a whole “gets credit” for the success. The company is taking care of the customer. If this is a less than satisfactory answer, the credit should be weighted to the demand signal. If the demand originated from online and the order shipped from store, a possible credit split would be 60 percent digital, 40 percent store. Everyone should be able to receive their deserved credit. There need not be a winner and loser, fulfilling orders should be a win/win. A win for digital is a win for physical because both are integral facets of the company. If a company does not have standardized processes, the company cannot deliver unified, customer-centric commerce. Part of the reason digital and store teams will fight over who gets credit is because of outdated ways of forming teams and the metrics they’re accountable for. But your customers do not think in “channels,” so why do you? If a customer places an order on a department store’s e-commerce site and it is fulfilled, they do not view that experience as fundamentally different than if they had gone into that same department store’s brick and mortar location. The reverse is even more true. If the customer had a negative experience, that will transcend channels as well. That is why it is so important to be putting in standardized processes, seeking a unified customer experience. Implementing channel-agnostic teams to remove existing channel-based silos within your organization's structure to drive improved forecasting, inventory planning and sales performance is a key way to drive cross-functional collaboration. This is critical when defining metrics that matter to both hold your teams accountable but also provide measurement that they can meaningfully impact. In order to apply routing logic, retailers must have access to several key metrics. The customer experience team should be looking to debrief on these metrics, at least on a quarterly basis – and ideally much more frequent than that. They must ask what is working and what is not and be in a position to conduct audits and have detailed reports on that information. The last thing a company wants is for the customer to have a different experience based on where their order was shipped from. Negative impressions last much longer than positive ones, so they must be avoided at all costs! This will be a constantly evolving process. Utilizing the Plan-Do-Check-Act management method is a good strategy to work toward continuous improvement. Ship from store is a tactic that fits into your overall omni-channel transformation strategy. The process should be purpose driven toward a positive customer experience with supply chain integration. It’s all about making the promise to the customer and being able to fulfill it. Conduct multiple time studies to determine order fulfillment time for both single and multi-line orders. Measure and set performance goals. Train store associates with distribution center resources for the initial implementation of ship from store. Allocate enough man hours in the store to allow store fulfillment and monitor their adherence. Separate store operations from sales associates, when possible. Integrate picking cart designs into your store layout to pursue a seamless integration. Drive faster acknowledgment responses by giving the stores the sales credit and splitting the credit with digital when applicable. Metrics drive the desired behavior. Make sure the system automatically rolls to the next available store if the first store does not respond. Ensure you measure the number of orders rejected by a store and the number of times the order hopped to multiple stores. Make sure that the online order screen or pick slip has all the information needed to find the item. Integrate fulfillment execution into your point of sale (if possible), in order to reduce applications within the store. Simplify your packaging requirements – less is more. The picking and shipping process has to be intuitive for sales associates to use. Ship from store is becoming an expectation for retailers. Customers expect convenience, immediacy and accuracy when it comes to their shopping experience. Retailers who are able to meet these expectations will drive brand loyalty and future success. This post provides a blueprint for implementing a ship from store strategy and will allow a company to become a leader once again – in months rather than years. Remember, your company competes not just on the product or service you provide to the market but on how well you provide a seamless customer experience and care. Oftentimes, “customer experience” is thought about from a customer-facing, touch point mindset. While it is this, it’s also fine-tuning your supply chain on the back-end that allows you to keep your promise to the customer and exceed expectations. If you’re ready to accelerate your omni-channel transformation, let’s have a conversation or explore our unified commerce platform. We can serve as a resource and partner to you whether you’re just starting the journey or are already well on your way. Want to take this resource with you? Download the ship from store white paper.